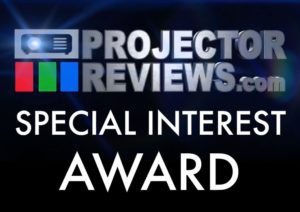 Elite ProAV Saker Tab-Tension Series 120" HDTV Reviewed by ProjectorReviews.com - EliteProAV - Providing an array of dedicated commercial grade projector screens to professional integrators. 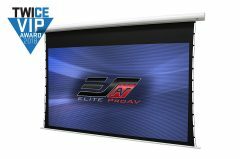 This review covered the Saker Tab-Tension projector screen by Elite ProAV, the Commercial Integrator division of Elite Screens Inc. 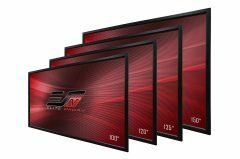 The Saker Tab-Tension Series electric projection screen features Elite’s MaxWhite® Fiberglass front projection material that is tab-tensioned for enhanced flatness. The 1.1 gaim material provides excellent color uniformity with a wide viewing angle. 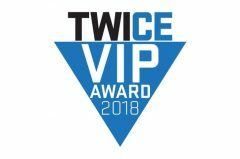 It includes an installation kit with wall brackets, eye-bolt screws and a manual and IR/RF control package including a wireless 5-12 volt trigger. 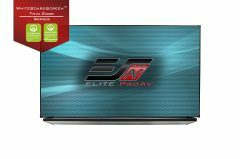 Elite also offers an ALR/CLR® variant which is short for ambient and ceiling light rejecting. 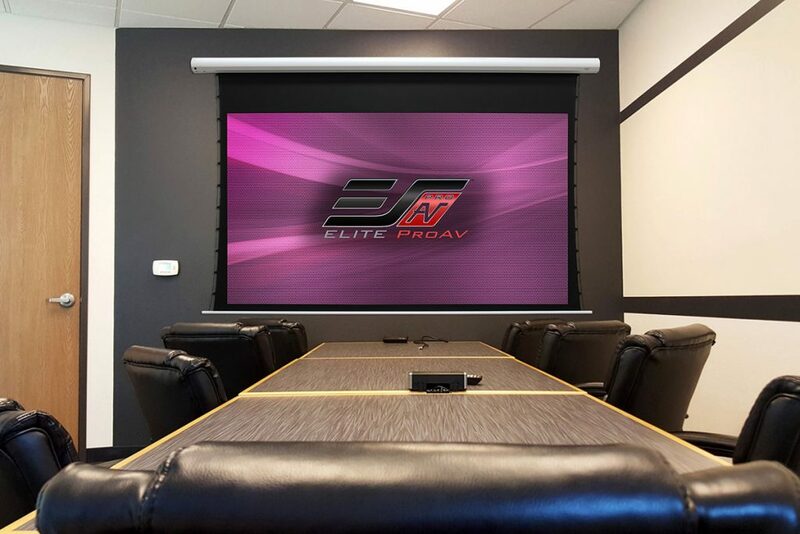 The reason why it is important to specify on “ceiling light” is because many of the business projection screen installations involve ceiling lighting. 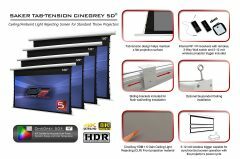 The Saker Tab-Tension CineGrey 5D projector screen uses a specialized material that maintains bright, crisp picture quality regardless if it’s in a bright or dark room. This particular model is for the standard long-throw materials. 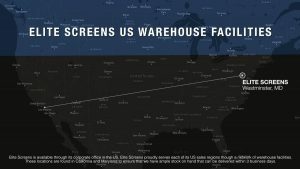 Elite Screens / Elite ProAV® can fulfill your order quickly through our West & East Coast (CA/MD) facilities. Each location serves the various regions quickly and effectively. 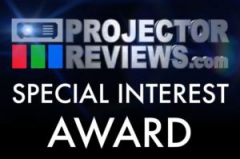 Contact us now to learn about our various programs.